Celebrate this festive season the Organic Times & Wholesome Patisserie way, with chocolate, chocolate and more chocolate! 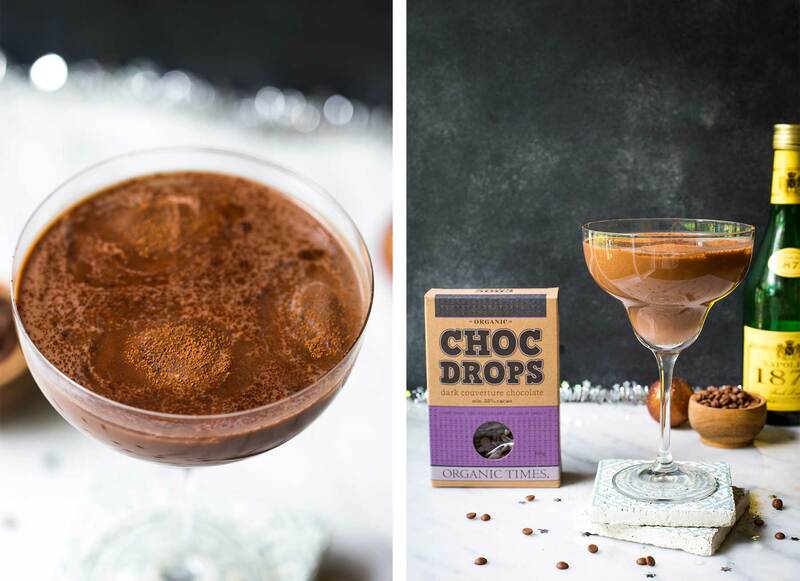 And there is no better way to relax on Christmas day or bring in the New Year than with this yummo chocolate cocktail recipe. Deliciously light and delicate, the Chocolate Lumumba Cocktail will remind you of a chocolate milkshake but of course with a touch of sneaky brandy. In a medium sized saucepan, heat milk over high heat until bubbles begin to appear around the edges, turn off heat. Add choc drops, let it sit for 1 minute then whisk until drops are completely melted. Whisk through cocoa powder until smooth and all lumps are removed. Pour chocolate milk into an oven-proof mixing jug, refrigerate until cold. Once cold, stir through brandy. Add desired amount of ice cubes to a martini class or glass of choice. Dust a little cocoa powder on top.